Can anyone say 'farm-to-table'? 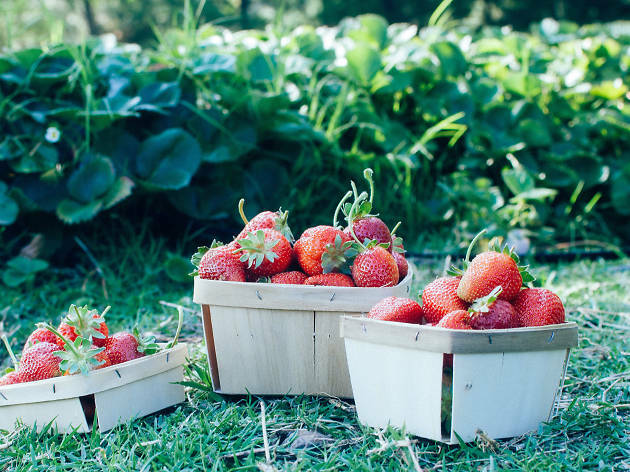 Skip your trip down the produce aisle and head to these strawberry picking farms. Summer in Los Angeles conjures up many images. For some it may be long lines, whether they be in the form of an unwanted tan line on your body or the hourlong wait at your favorite ride at Disneyland. 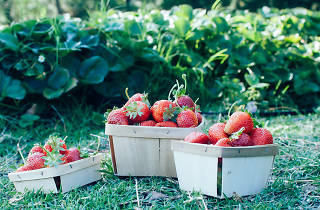 For others, summer is synomous with biting into a big, juicy strawberry, and the only lines associated with that are the bountiful rows of strawberry patches just waiting to be picked. Luckily, there are plenty of farms around LA to visit and experience the joy of strawberry picking while giving a nod to our hunter gathering pasts. You can even make a day trip out of the excursion and cross two things off your summer bucket list. How lucky are you? Beginning sometime between March and April, the countless rows of green bushes will be covered with bright red strawberries waiting to be picked. 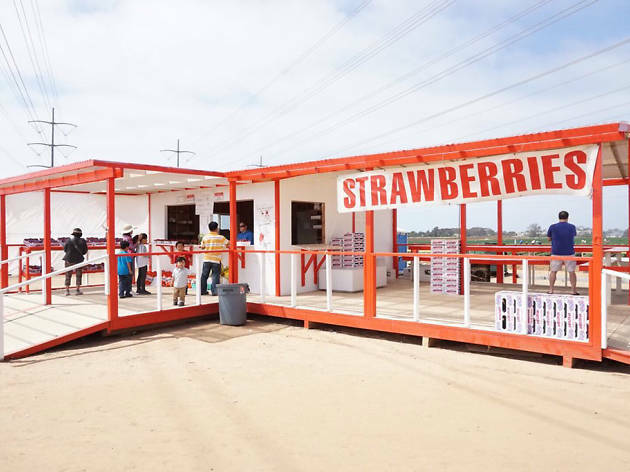 Carlsbad Strawberry Company is only open during strawberry season, which can last until June or July, with a range of varieties to choose from. Pricing changes seasonally, but visitors can typically choose from two bucket sizes ($10-$20), which covers the entrance fee (children under 5 enter for free). They are open seven days a week at 9am, and it is best to call ahead to get exact pricing and make sure there are plenty left to be picked. 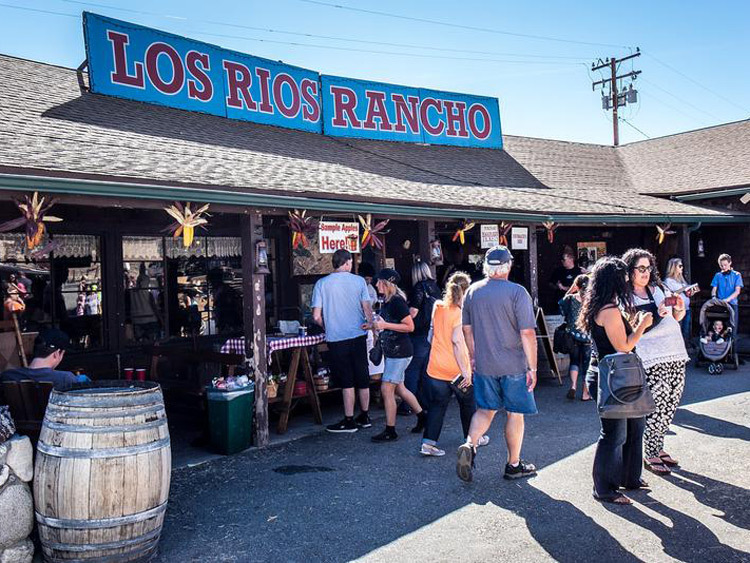 Summertime is strawberry time at Riley's at Los Rios Rancho. 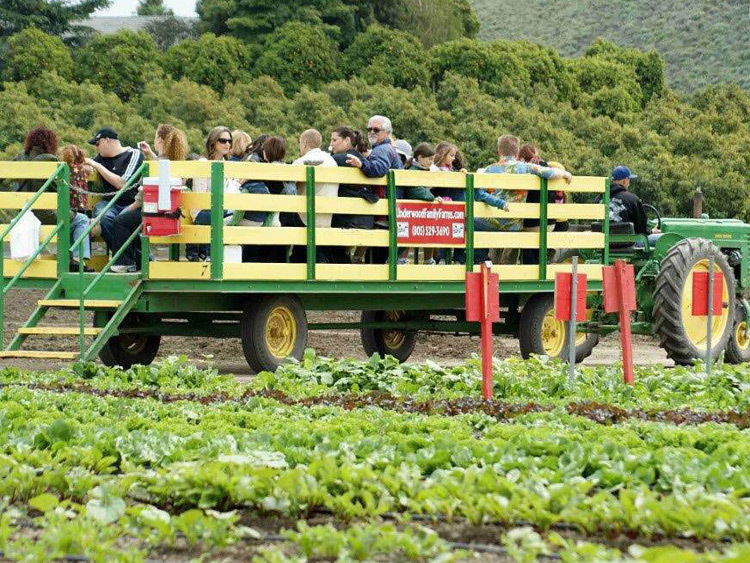 On Saturdays and Sundays from 10am-4:30pm, visitors can pick strawberries in the gorgeous setting of the farm. Two container sizes are offered to guests at $6 a quart or $3 a pint. 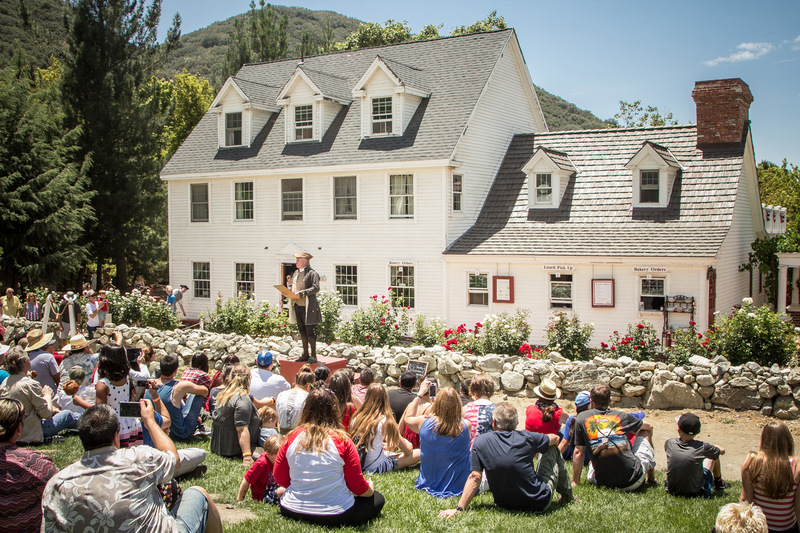 Be sure to follow your strawberry picking merriment with a tasty apple pie à la Mode and a visit to the petting zoo. 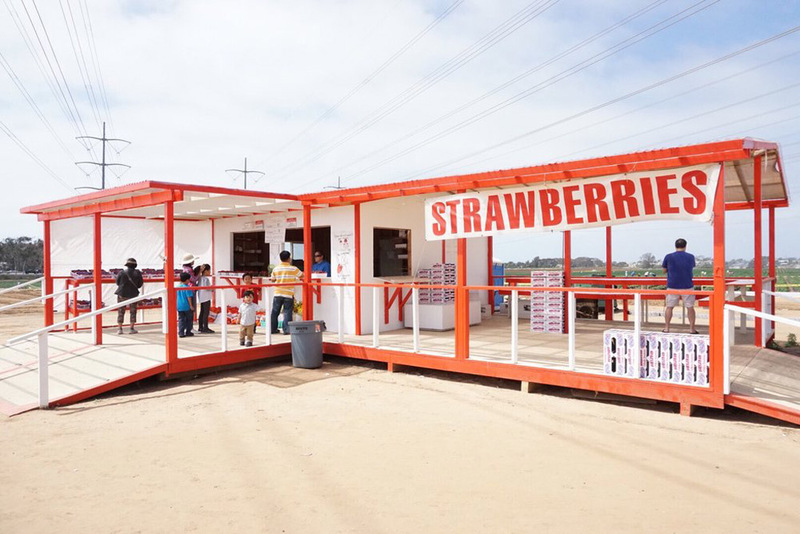 Spend a lovely SoCal afternoon at Kenny's Strawberry Farm and pick as many strawberries as you desire. The farm is open every month, except December and January, but its strawberry season only lasts from March to July. There is no admission fee, and strawberries are $4 a pound. Bring your own container or use one of theirs, but don't forget to pack yourself a meal to enjoy at their shady picnic tables after a long session of picking in the field. Underwood Family Farms is the ideal family destination with plenty of activities for everyone. Begining March 1, the farm opens its fields for strawberry picking, and the season doesn't end until every single berry is picked, which can last until August. 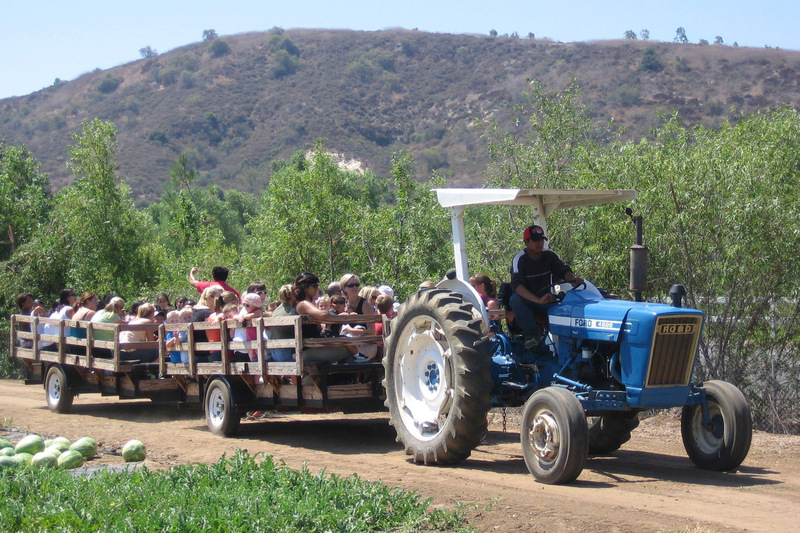 After a tractor-drawn ride to the field, guests can from pick from three varieties of strawberries for $1.99 a pound, in addition to an admission fee of $3 on weekdays and $6 on weekends, or $6 on weekdays and $10 on weekends during their Springtime Festival. Children under 2 enter for free. The farm has their own bags and containers, so all you need is to bring yourself and a friend, or the entire family. Tanaka Farms provides guests with a unique picking experience through their strawberry tours, which include a wagon ride led by a tour guide who explains the history of the farm and their practices, samples of different veggies from the field, and time to pick and eat from the berry patch while filling a container to take home. 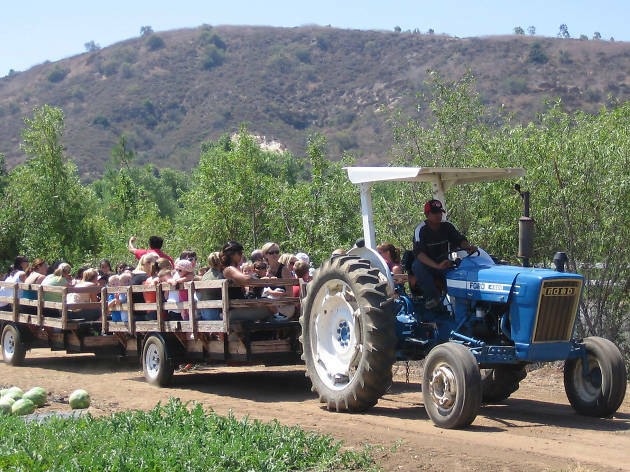 Strawberry tours are offered daily at $18 per person, or free for children under 2. Reservations are required for weekdays and can be made over the phone. 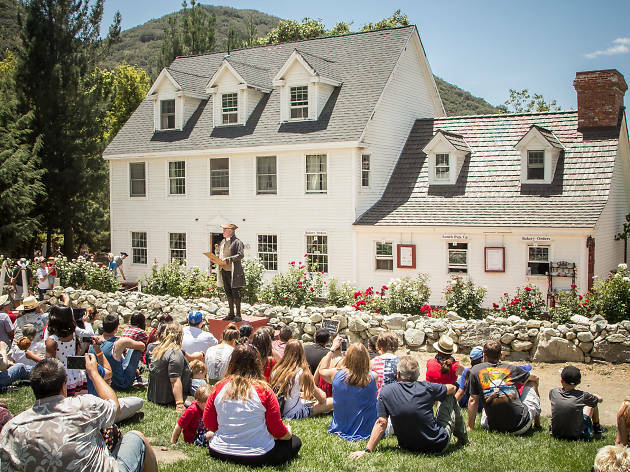 Weekend tours are available every half hour from 9:30am to 2:30pm. Those that want to pick strawberries without a tour can do so in the strawberry garden behind the market at $5 a pound. Tanaka Farms leaves their seasonal calendar in the hands of Mother Nature, so it is best to call ahead of time to check availability. At Riley's Farm, their strawberries are the earliest crops to come and last to leave, with a season that can last from May until November. 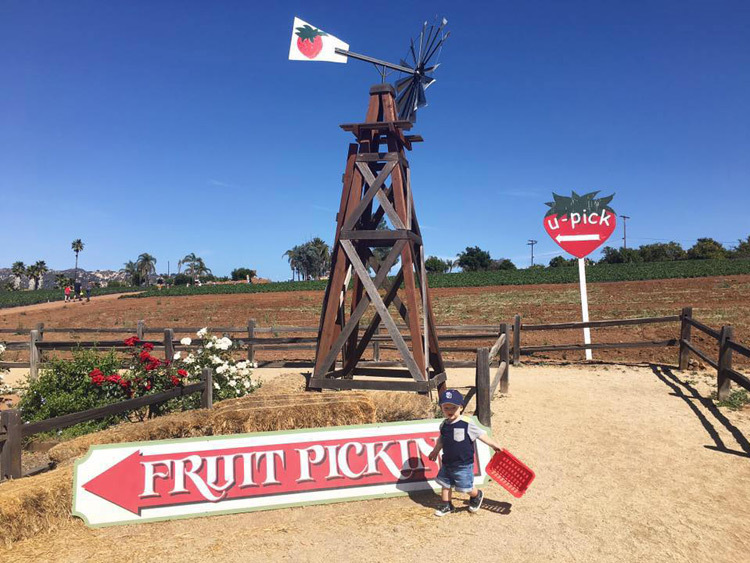 At the beginning of the season, picking is only available on Saturdays from 10am to 4pm, but weekdays are added later on. The farm has different sized containers to choose from: $4 for half a pint, $6 a pint, $10 a quart and $35 for a gallon during abundant crop sizes. Come early in the season when the berries are more tart, later when they are sweet, or more than once throughout the year!